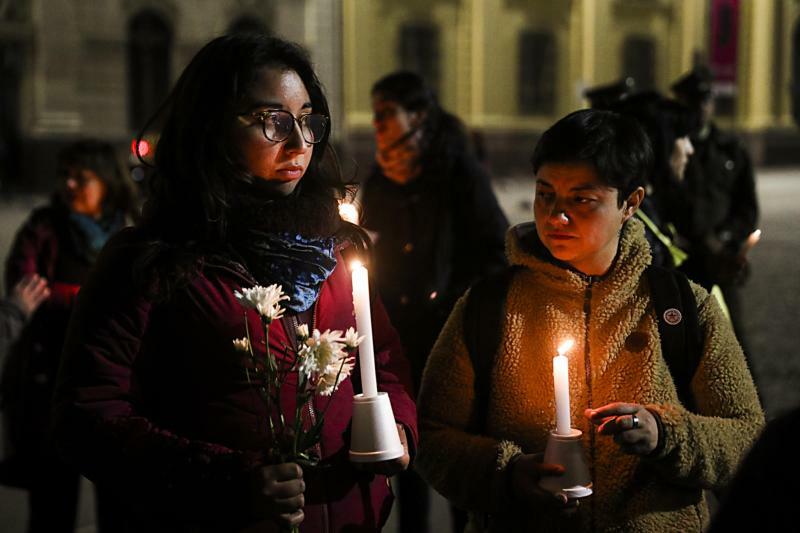 Demonstrators hold candles and flowers Aug. 20 in front of the Metropolitan Cathedral of Santiago, Chile. The demonstration was held as a protest against sexual abuse committed in the Chilean Catholic Church, in an event organized by the Network of Survivors of Ecclesiastical Abuse in Chile. (CNS photo/Alberto Pena, EPA) See CHILE-BISHOP-CHOMALI Sept. 19, 2018. VATICAN CITY (CNS) — As revelations of the sexual abuse of minors and vulnerable adults by clergy continue in Chile, an archbishop said that the church can no longer ignore the suffering of victims. “We must obey the law because we are not above the norms that govern the country,” Archbishop Chomali said. The 20-page pastoral letter, titled “Living the Gospel in Times of Crisis,” was published several days before Chilean prosecutors conducted a raid of offices in four dioceses, including Concepcion. Archbishop Chomali said the aftermath of decades of abuse committed by members of the clergy in the country have turned a once vibrant church that “was a voice for the voiceless” into a social pariah. “Today we are — for a growing percentage of the population — a cause of scandal, of profound questioning, of much distrust and little credibility,” he said. “Those who abused should never have been allowed to enter the seminary, let alone be ordained,” the archbishop said. “So many of us consecrated people have the temptation of allowing ourselves to be deified and we end up believing we are superior to others,” he said. The consequence is a loss of the “apostolic zeal” that led them to take vows in the first place. Echoing Pope Francis’ call to discern immediate and long-term steps, Archbishop Chomali listed seven “concrete measures,” to address past and current cases of abuse and restore the trust that has been lost. “We are going to make it better and we are going to strengthen the current team,” he said.